From the 3rd-5th of November, entrepreneurs, startups, tech companies, innovators, leading digital agencies, and Fortune 500 companies from across the world will be attending Web Summit, for what Forbes magazine calls “the best technology conference on the planet”. In four years, Web Summit has grown from 400 attendees to hosting over 30,000 people from over 100 countries. 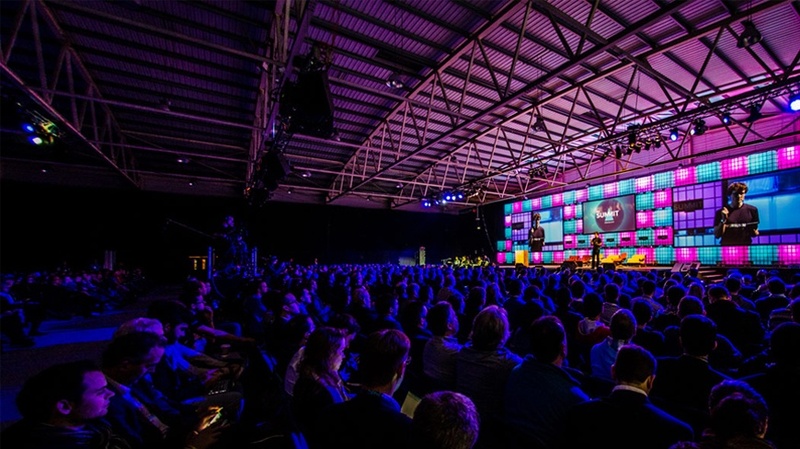 If Web Summit is new to you, it’s a three day festival of seminars, panel discussions and workshops with a massive 21 stages, each presented by world class speakers including the likes of Elon Musk, CEO Telsa, Mike Krieger, co-founder Instagram, Sean Rad co-founder Tinder and Mike Schroepfer, CTO of Facebook. This year, our client, the VP of Digital and eCommerce at luxury cosmetics company, Clarins Group, Isobar and eCommera have been selected to speak on both the Marketing and the Machine stages. This email gives you the details of what we’re up to on stage. eCommera, Linked by Isobar CEO, Mark Fagan will step on to the stage at the Machine Summit, a section of the festival devoted to the revolution that redefines how we interact with everyday products. For the session ‘How the Internet of Things is influencing the retail industry’ Mark will be joined by Aarthi Ramamurthy, from Lumoid and Tanuja Randery from Schneider Electric, with Alex Hamilton from Retail Week moderating the session. Our panelists will discuss what will drive retailers to adopt multipe IoT technologies in the coming years, and how (from personalisation and contextualised interactions), consumers expect more than just convenience and availability. Steven Moy, Isobar US Chief Commerce Officer, Mark Fagan, CEO of our eCommerce agency, eCommera, and our client Han Wen, Vice President, Digital and eCommerce, of Clarins Groupe, will take to the marketing stage to discuss the fast paced developments in the brand commerce era, in a panel in front of the world’s leading marketing practitioners. The likes of Yancey Strickler, the Co-Founder and CEO of Kickstarter, David Marcus, the Vice President of Messaging at Facebook, Michael McAvovy, the CEO of The Onion and Ben Jones, Global CTO at AKQA, will also be speaking at the Marketing summit.